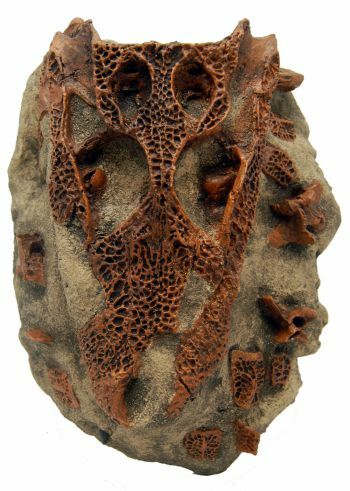 This is a great Alligator skull with some postcranial elements. We decided to cast the elements and skull In-Situ. The original specimen was found in a block of mudstone and the pieces were a bit jumbled. The skull was mostly intact, which is rare. 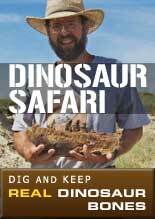 This is a great replica for anyone into the reptiles of the dinosaur age. There are some teeth still in the dentition also. All elements seen are directly cast from the original specimen; there has been no cosmetic restoration. All elements painted fossil brown are direct from the original fossil. 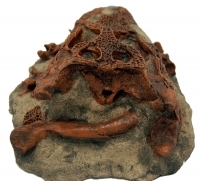 We prepared this specimen and a younger skull of the same species (available soon). This is poured in solid resin so it is very stable.